My eggs go formal at the Kennedy Gallery, 1114 20th Street,Sacramento,CA,95811. 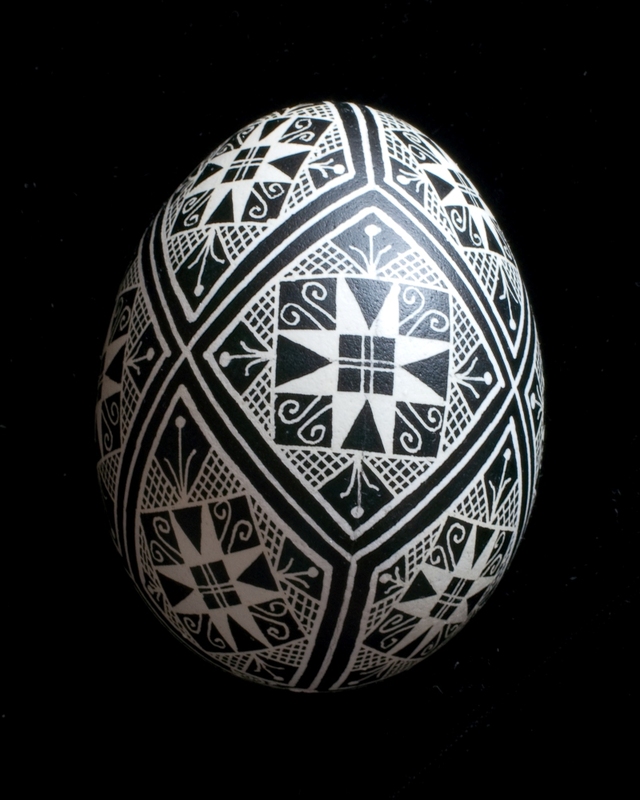 These black and white pysanky feature a wide variety of designs without the distraction of color. And if you’re looking for an excuse to get out and about, Second Saturday Artwalk happens this weekend and provides a great opportunity to explore the art galleries in midtown.